Until about 1960 he was one of the best-kept secrets of French music history. 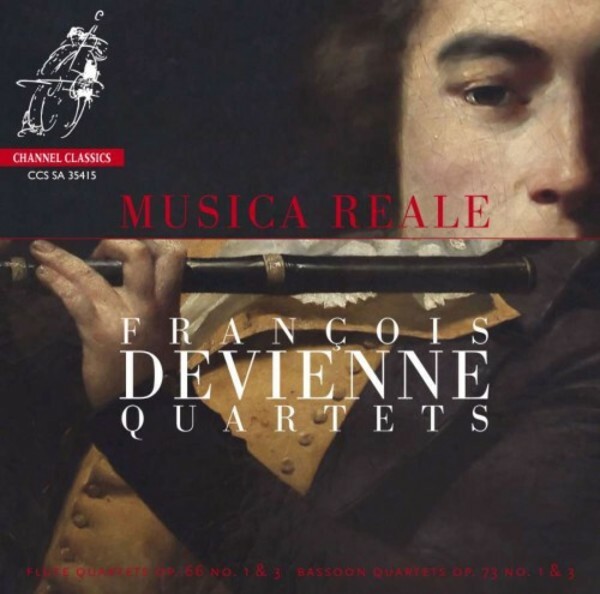 François Devienne was celebrated in late eighteenth-century France as a bassoonist and flautist. The reputation of this bassoon and flute virtuoso, and prolific composer, slowly faded in the shadow of his Austrian contemporaries Haydn and Mozart. And with his reputation were forgotten no less than 7 concertante symphonies, 14 flute and 5 bassoon concertos, 25 quartets and quintets for a variety of ensembles, 46 trios, 147 duos and 67 sonatas - not to mention more than a dozen comic operas and some 50 songs. All this had been put to paper in the relatively few years in which Devienne devoted himself to composition, for he died at the early age of forty-three. Musica Reale is an initiative formed to bring together members of the Royal Concertgebouw Orchestra, in a variety of formations, for the performance of chamber music in all its aspects. All instruments being available in the orchestra, the choice of programming is enormous. Our aim is to bring the world of chamber music to a wide international audience, at the highest level of performance and in an informal, welcoming atmosphere. This is volume 5 in the First Chairs of the Royal Concertgebouw Orchestra series.